Buy 25 or more: OUR PRICE: $8.03 Save More! Buy 100 or more: OUR PRICE: $7.67 Save More! Annotation: From subject-verb agreement to run-on sentences, these super-engaging reproducible pages give kids practice with key grammar skills. 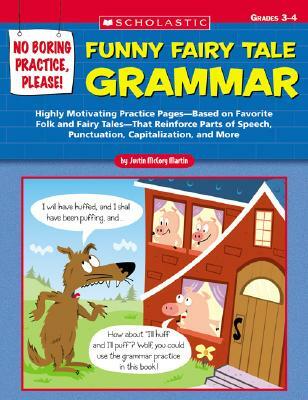 Each activity offers a humorous twist on a folk or fairy tale to boost students' interest. Plus, they'll enjoy a variety of formats, such as fill-in-the-blank stories, proofreading practice, crossword puzzles, and much more. Includes an answer key. For use with Grades 3-4. - English language; Grammar; Study and teaching (Elementary); Activity programs.